In this second year of the Cisco Global Problem Solver Challenge, Cisco is proud to continue recognizing young entrepreneurs who are developing innovative, technology-based solutions and services that have the ability to change the world. We’ve been thrilled to see Project Vive, the 2017 Grand Prize winner, continue to advance their innovation, a wearable sensor called the Voz Box, which uses motion sensors to give voice to the voiceless. The excitement continues as we reviewed the submissions in the 2018 Cisco Global Problem Solver Challenge! This year, almost 300 teams competed for a total of US$300K in prizes. There were entrants from around the globe with solutions addressing challenges across education, healthcare, energy, the environment, and more. All teams had a deep understanding of the urgency of these problems facing our communities, and have innovative solutions to address those problems — in their communities and beyond. 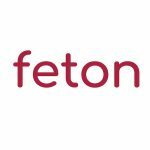 CareNX has developed Feton, a portable, IoT-based fetal heart monitoring solution to enable fetal heart assessment anytime and anywhere. Learn more in the CareNX pitch video and on the team’s website. Jara has developed the Jara Unit, a low-cost, personal crank and solar powered tablet that teaches geographically custom education to refugees and those in disaster/conflict affected regions, without requiring access to a classroom. 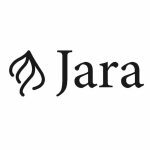 Learn more in the Jara pitch video and on the team’s website. Flux is an easy-to-install smart water meter designed to work within Kenya’s unique infrastructure and affordably provide water usage data, which is critical for reducing loss and efficient water management planning. Learn more in the Flux pitch video. M-Shule provides SMS-based, personalized, educational support to help students in Sub-Saharan Africa gain the skills they need to achieve. Learn more in the M-Shule pitch video and on the team’s website. Team PowerStove‘s smokeless, clean cookstove uses 70% less biomass fuel and has a self-powered cloud-based remote monitoring system. Learn more in the Team PowerStove pitch video and on the team’s website. Flux Marine is developing zero-emissions electric boat motors. Learn more in the Flux Marine pitch video and on the team’s website. Innovex Uganda Limited has developed Remot, a technology which makes energy accessible to low-income earners and rural communities by providing Pay-As-You-Go options and remote monitoring services to solar contractors. Learn more in the Innovex Uganda pitch video and on the team’s website. Strados Labs is developing a wearable smart sensor and connected application to help the 500 million people living with respiratory conditions easily and automatically monitor lung health. Learn more in the Strados Labs pitch video and on the team’s website. UjuziKilimo Solutions collects and analyzes farm data using sensors, GPS satellites, and mini weather stations to help farmers and agricultural stakeholders make precise decisions. Learn more in the UjuziKilimo Solutions pitch video and on the team’s website. 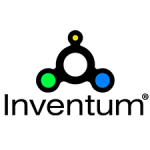 Inventum–Pukio has developed a clean energy-powered atmospheric water generator with an IoT weather and soil monitoring system to complement natural water sources and enable smart farming. Learn more in the Inventum-Pukio pitch video and on the team’s website. Congratulations to all of this year’s GPS Challenge winners and I encourage you to view their solutions on the GPS Challenge site. They are truly Global Problem Solvers and I look forward to seeing their impact on the world as their visions become reality!